The date has been set. 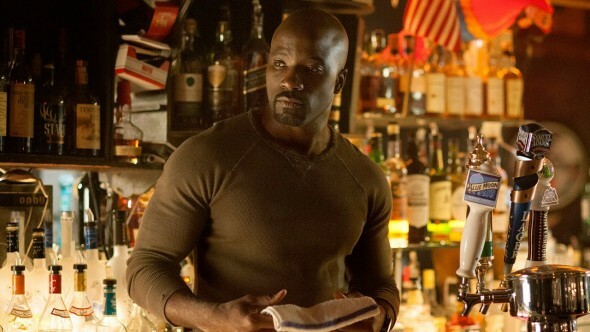 Deadline reports Marvel’s Luke Cage will debut on Netflix in September. The series follows Luke Cage (Mike Colter), a Harlem resident who possesses the abilities of super strength and unbreakable skin. Cage appeared in Netflix’s Jessica Jones series as the lead character’s love interest. Colter revealed the date at the season two premiere of Marvel’s Daredevil, which debuts on March 18th on Netflix. Earlier, the actor also revealed the series would look and feel different from the Hell’s Kitchen-set Jessica Jones and Daredevil. Alongside Colter, Alfre Woodard and Daredevil‘s Rosario Dawson will appear in the new series. Marvel’s Luke Cage will premiere on September 30th. What do you think? Did you watch Luke Cage on Jessica Jones? Will you watch Marvel’s Luke Cage when it premieres in September? More about: Marvel's Luke Cage, Marvel's Luke Cage: canceled or renewed?, Netflix TV shows: canceled or renewed?